“When I was growing up, I was a victim of bullying because of how different I look. Every year, I would go through the agony of harsh chemical treatments to straighten my hair. Scalp burns didn’t matter because I wanted to fit in,” recalls Chrissy Lacanieta, a blogger with naturally curly hair. Instead of confidence, years of chemical treatments only left her with damaged, dry, and frizzy hair. It took self-love, the right cut, and a natural hair care routine before Lacanieta was finally able to embrace her natural curls. 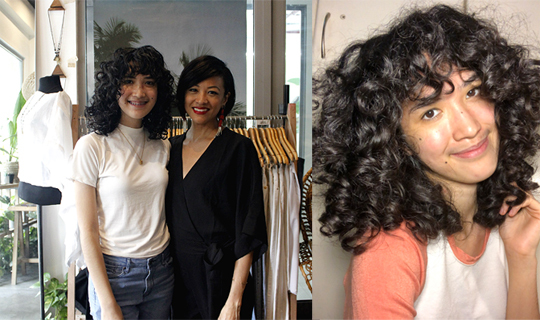 Her dream of reviving her natural curls and good hair days finally happened when she met Leslie Ferrer Espinosa, a Filipina-American hairstylist known for her love and passion for textured hair. According to Ferrer, getting rid of frizz and dryness starts with loving your hair right. “Each person needs to learn their hair type. What are the individual strands like? Fine, medium, or coarse. How much hair is on their head? Thick or thin. What is their texture? Straight, wavy, or curly. People can have a combination of these,” she shares. Years of working as a makeup artist and hairstylist for film and theatre in San Diego and Los Angeles, and for popular Broadway shows in New York City exposed her to the triumphs and trials of styling different hair textures. Ferrer reconnected with her Filipino roots after her father’s passing. She explored teaching gigs with Teach for the Philippines and Gawad Kalinga’s Enchanted Farm and found her purpose in Gawad Kalinga’s School for Experiential and Entrepreneurial Development. 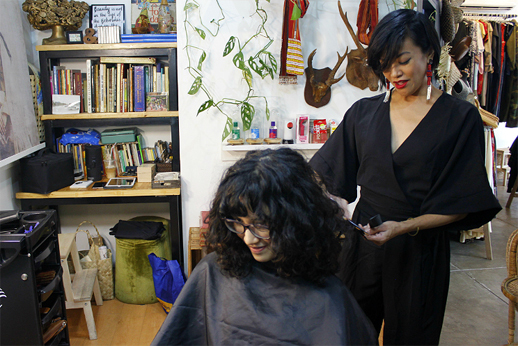 She eventually found her way back to beauty and styling as the current Artist in Residence at Pineapple Lab, a creative space for Filipino artists and creators to showcase their work. With her own space, she’s now “exploring what hair is as a science, fashion, and art,” and is spreading her advocacy of embracing your hair in all its natural and beautiful complexities. While almost every salon and stylist in the Philippines will offer solutions to straighten kinks and frizz, Ferrer differentiates herself by rooting her philosophy in knowing and loving one’s hair first. “Start with a good shampoo and conditioner,” she advises. Hairstylist Leslie Ferrer Espinosa encourages her clients to love their natural hair texture as she helps them bring out their best. She believes when it comes to starting to love your locks right, it turns out, it doesn’t have to be that complicated. Dry, frizzy hair is a common woe among Filipinas, no matter what their hair type is. While frizz is caused by several factors like humidity, lack of moisture and protein in the strands is a common culprit. Synthetic shampoos often contain silicones which block protein and moisture from entering hair strands. 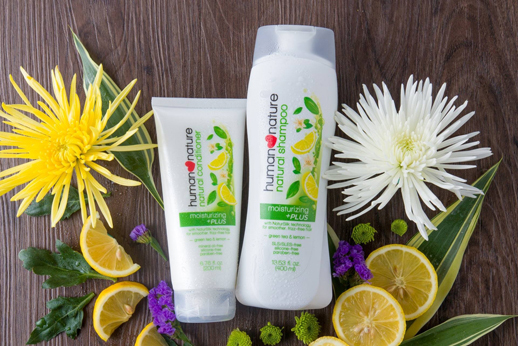 Ferrer uses Human Nature Hair Care products on her clients. She starts with Human Nature Moisturizing +PLUS Shampoo, powered by NaturSilk Technology to effectively tame frizzy hair through a protein-moisture balanced formula that’s 99.4 percent natural. In a panel test conducted in May 2018, eight out of 10 experienced less frizz and smoother and more manageable hair. Meanwhile, Moisturizing +PLUS Conditioner tames the frizz with its honey-based anti-frizz active to keep the mane smooth, shiny, and bouncy without the moisture-blocking silicone. The entire formula is also 99.5 percent natural. Lacanieta, who is Ferrer’s regular client, shares that she saw a huge difference ever since using the Moisturizing +PLUS line. “I’ve been using this for almost three months and I noticed that my curls are healthier and shinier. This combo works together like magic! It’s incredible how much volume I get when I use this line and how soft and bouncy my curls feel,” enthuses Lacanieta. Previously obsessed with straightening her mane, Chrissy Lacanieta now embraces her naturally curly crowning glory.